On Wednesday 2nd May 2018 the 2nd year students attended a ceremony in preparation for the world Meeting of Families in Saint Peter and Paul’s Church Portlaoise. 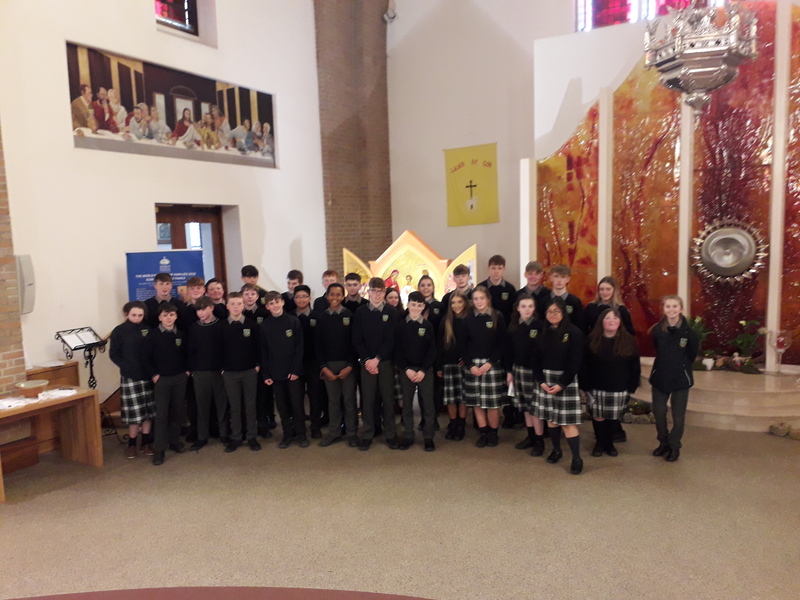 They, along with primary and secondary school students from counties Kildare and Laois were invited to the ceremony by the diocese of Kildare and Leighlin. As part of the Religious Education Journal work for the Junior Certificate, our students are carrying out research on the Icon of The Holy Family. This icon was commissioned for the World Meeting of Families in Dublin this year and was on display during the ceremony in the church. The students were given the opportunity to view the icon. Carolina Junca and Dima Pavliv brought forward petitions on behalf of the students of St. Paul’s. These will be prayed for during the World Meeting of Families in August.